Bill Gates doesn’t seem to be all that interested in maintaining his title as richest man in the world these days. He mostly focuses on philanthropy, but don’t think for a second that he’s lost his capacity for initiating a new benchmark for his rich competitors. Brace yourself: A new era may be approaching in which tech gazillionaires own the town you live in. Somewhere near the White Tank Mountains in Arizona, there’s a 24,800-acre stretch of land that will soon be called Belmont. 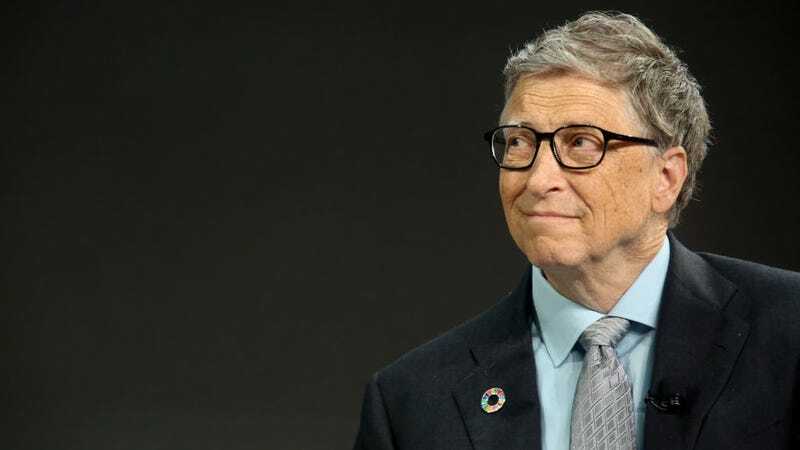 According to property records reviewed by the Arizona Republic, the mostly uninhabited area was recently purchased by investment firm Belmont Properties LLC, a company that is controlled by Cascade Investment, a holding company controlled by Bill Gates. Yes, that’s a lot of layers distancing the ownership of the soon-to-be boom town. The Belmont development exemplifies the big picture thinking that has been a unique hallmark of Arizona’s history of economic development. Belmont illustrates that Arizona remains at the leading edge of trends in American urban planning and development keying off of advances in solar power and electric distribution systems, autonomous auto testing, broadband, and data centers. It’s a common refrain to compare the Information age that’s just getting started to the beginning of the Industrial Revolution. We’re seeing wages stagnate, income funneled into the hands of a few, the destruction of reliable occupations, and mega-corporations gobbling up every competitor that dares threaten their dominance. All the while, the trade unions that helped bury the robber barons of the past have been weakened to a point of being virtually powerless. But one feature from that era has been slow to take hold in the new one: the company town. Many of the towns built in the US in the early 20th century were owned virtually top to bottom by the company that employed the citizens. Residents worked for the company, bought goods from the company store, and paid the company for their homes. It was a great setup for the company because it could take back in all of the money it paid out and it often owned the local government. Working conditions were usually pretty terrible. Today, Apple and Google have probably come closest to building their own version of the company town. They push to create gleaming office structures that encourage employees to work marathon shifts by providing good meals and amenities. It’s quite a bit different than the sweatshops of the old days; the labor also requires a highly advanced skillset. Engineers are run ragged with long crunch hours, service workers don’t participate in the perks, and there’s been an explosion of the working homeless in the Silicon Valley region. Does all this mean we’re headed toward a new form of company town and Bill Gates is leading the way? Not at all. Gates will probably bring in tons of outside investment and partners to build out Belmont and it’ll probably look like most small cities in Arizona. Right now, he’s only putting $80 million into the venture and there’s no indication that Microsoft is involved. But if the economic trends continue, and the early-industrial deja vu persists, be very afraid of a ZuckerBurg, Pennsylvania; or a BezosTown, Illinois. And can we all agree that Bill’sVille is a way better name than Belmont?